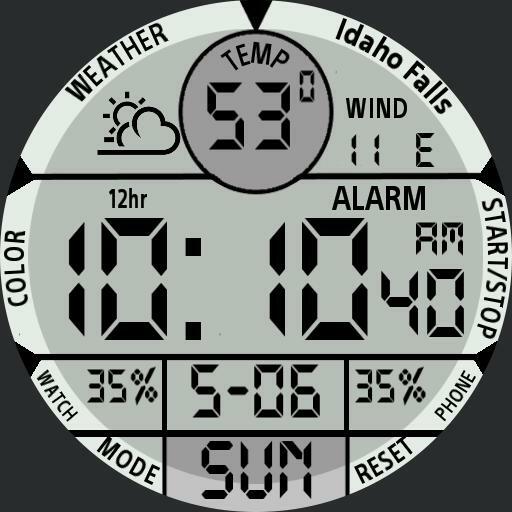 Round Digital watchface built on my square background. Tap center of time to switch between 12/24 hr time. 3 color options Gray, blue, green . Has stopwatch mode, weather and date. Tap temperature to update weather. Tap day for calendar. Tap ALARM to set alarm.